Get set for a thrilling, full-length outer space adventure aboard the Clubhouse Rocket. 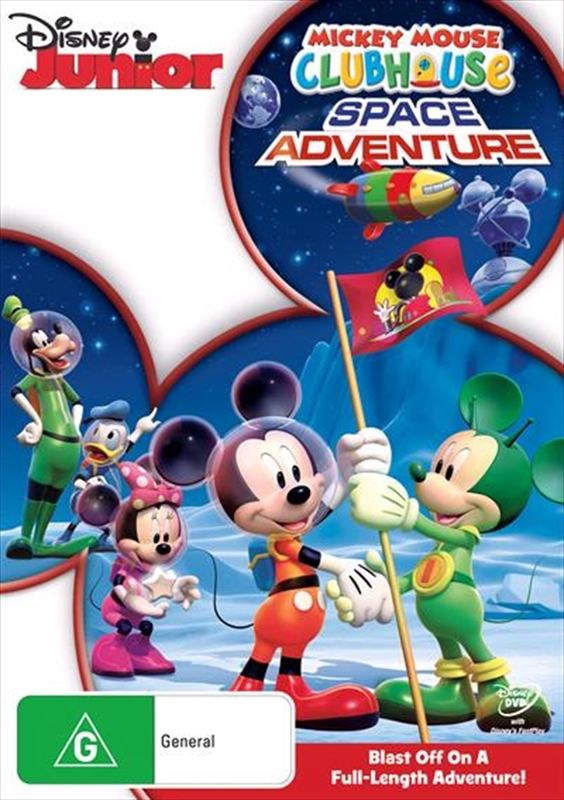 Blast off with Mickey and his crew and race across the galaxy on an interplanetary quest for hidden, out-of-this-world treasure. Twinkling treasure stars will help point the way, but first, you'll have to find them, with a little help from Toodles and the right Mouseketools! Meet Moon Men Chip and Dale, Martian Mickey from Mars, and Pluto from Pluto. But watch out for crafty Space Pirate Pete, who wants the treasure all for himself. Packed with songs and surprises, Space Adventure will transport you to a whole new dimension of fun!